What is an authentic Mongolian yurt? 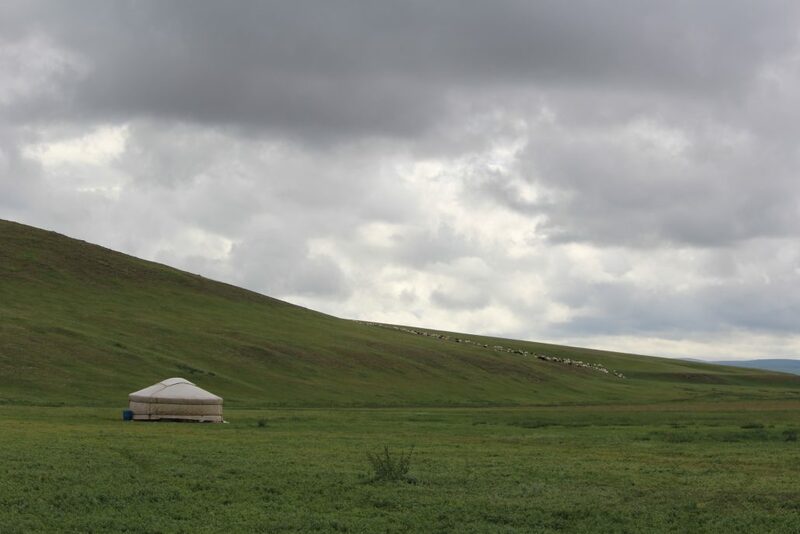 A yurt, or ger in Mongolia, is the traditional dwelling of Central Asian nomads. More than a tent, the yurt is the result of ancient savoir-faire and has been developed over hundreds of years. Made to resist extreme climates, this circular domed abode is warm in the winter and cool in the summer. Easily dismantled, the yurt is portable and self-supporting. This ingenious structure requires neither nail nor ground fastening. Its “walls” consist of crossed wooden strips in a lattice arrangement fixed together in a circle by braided horse hair. In the centre of the yurt is a dome (called toono), mounted on 2 (or 4) pillars. 81 rods, the huns, are introduced into the toono of a “5-wall” yurt thus creating the frame. The number of “walls” determines the size of the yurt, in other words the ground diameter. The yurt is covered by wool felt and a water resistant cotton canvas. Depending on its size, 3 people can put it together in roughly 2 hours… This millenarian abode, still home to the semi nomadic people of Central Asia is extremely resilient, adaptable and can be used for parties, exhibitions, or agricultural/trade shows, as an inexpensive alternative or temporary housing, a hunting lodge or to cosy up in on a ski slope, as a guest room at the cottage or simply as a unique space to kick back in with family and friends. The possibilities are endless. Visit a yurt in 3D – click here. © 2018 GroovyYurts. All Rights Reserved.